Are you looking for Brisbane translation services? If you have arrived at this page, you are likely to be living, working or studying in Brisbane or in the broader state of Queensland. You are more than likely researching for a professional and reliable Brisbane translation service – does that sound like you? Get your FREE quote today! OPAL Translation is Brisbane’s premier translation agency, providing Brisbane translation services – all 100% NAATI certified. We provide translation services to the folks in Brisbane, no matter how big or small the project is. So what is a NAATI accredited translation service? Well, there are not many translation agencies like ours in Brisbane – a translation agency that works exclusively with NAATI accredited translators. A NAATI accredited translator is a translator who has been accredited by NAATI (The National Accreditation Authority for Translators and Interpreters). NAATI is the only accreditation body in Australia for translators and interpreters. OPAL Translation is one of Australia’s leading translation services. If you have some doubts, here are some reasons for you to work with us. If you need NAATI certified translators, we’ve got you covered. Our professional translators in Brisbane are all NAATI certified. We guarantee that your documents will be 100% accepted by Australian authorities who require NAATI translations. With our experienced translators, you can expect to receive fast and accurate translation services from us. If you are in a hurry, our seasoned translators and highly skilled project managers can prioritise your document and complete it in the fastest possible time without affecting your translation’s quality. Aside from providing fast and accurate translations, we also offer the most affordable rates in Brisbane. We’ve got you covered if you are on a tight budget. So don’t hesitate and contact us today to get a free quote on your translation request. We’ve compiled the frequently asked questions we’ve received in the past seven years in hopes of helping you answer your own questions. As part of your Brisbane translation services, what languages can you translate? As we are Brisbane’s premier translation agency, we provide NAATI accredited Brisbane translation services for all languages. Some of the most popular languages that our client’s in Brisbane translate from include Spanish, French, Italian, Japanese, Malay, Indonesian, Arabic, German, Swedish, Norwegian, Greek, Chinese, Korean and Portuguese. All of our Brisbane translators are 100% NAATI accredited – for your peace of mind. The translation that our translator’s produce will be NAATI certified, for use for official purposes. What are some of the types of documents that you translate? Business documents include legal contracts, engineering manuals, marketing material and websites. We usually get requested to translate these types of documents by Brisbane businesses or Brisbane local councils or state Government authorities. Absolutely. Our Brisbane translators are NAATI accredited in their respective language and direction. All of our Brisbane translation team adhere to the AUSIT Code of Ethics. We have many different speed options available, but most of our clients choose our Regular option which means that the translations are delivered within 2-3 business days by email. To get a free quote assessment and estimate of the time needed to translate your documents, please complete the form on this page – we will get back to you via email within 15 minutes. Can I bring my documents into your Brisbane office? Unfortunately, we are unable to offer a “drop-in” service. All of our Brisbane translation services are completed 100% online with all correspondence completed via email and Live Chat. If a hard copy is required, we can post out the hard copy to you via Regular Post or Express Post. Our method of operating helps to keep the costs down for our Brisbane translation service, and we can deliver translations a lot faster this way – to help you get on with your business. Most of our translations can be completed under our Regular option for $69.00. The best way to get a firm quote is to complete the enquiry form on this page. We will reply via email within 15 minutes. Do you still have questions about our Brisbane translation services? Just let us know via the Live Chat below. Our customer service representatives are available to answer your questions. The Aboriginal people used to call Brisbane as Meanjin meaning ‘place shaped like a spike’. The movie Jackie Chan’s First Strike featured the China Town found in the Fortitude valley. Every year, Brisbane’s largest event named Ekka attracts an estimated 400,000 visitors. The event started in January 1876 at the Bowen Park. 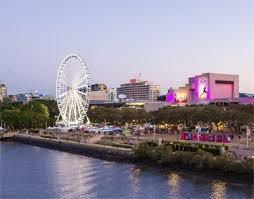 Brisbane is the Australia’s third largest city with more than 1.6 million residents. From 1827 to 1830, around 1000 convicts were placed in barracks now called the Queen Street. Brisbane was the busiest submarine port in World War II. By December 1943, over 75,000 American troops were hosted by the port. So what are you waiting for? Order a translation today and get a free quote in less than 15 minutes via the translation quote form found on this page.